I’m happy to announce that I’ll be headlining the upcoming RED HOT SUMMER TOUR, alongside Noiseworks, The Angels, Mark Seymour & The Undertow, and The Badloves; making this the biggest RED HOT SUMMER TOUR yet. Audiences can expect a day jam packed with classic hits with dates running throughout Victoria, New South Wales, Queensland, South Australia and Tasmania. The RED HOT SUMMER TOUR always sells out well in advance, and year after year it has been proven to be one of the best value for money concert experiences in Australia. Music fans are recommended to get in early to secure their tickets so they don’t miss out on one of the biggest line-ups of Australian music royalty to share the same. 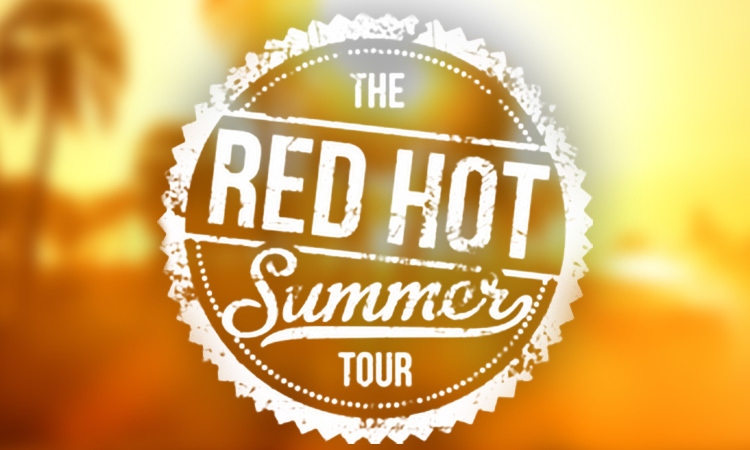 The Red Hot Summer Tour Queensland shows – slated for 5th & 6th March 2016 – are due to be announced on 1st November 2015. Stay tuned for updates. Members of my fan newsletter will have exclusive access to fan pre-sale tickets this Tuesday September 22nd at 12pm (local time), before going on sale to the general public at 9am on Thursday 24th September 2015. Access to this special pre-sale link will be sent out tomorrow (Monday September 21) evening so make sure you check your inboxes for your access link.